If there is one thing my family hears a lot, it’s this: “Happy, happy, happy.” My grandfather Phil Robertson, whom I call “Papaw Phil,” is famous for these words, and I am glad he is. I like being part of a family that’s happy! I know that not everyone has a happy family, but we can still choose to live a happy life, because happiness starts with what’s inside of us, not with what we have or do not have. If we can think happy, we can be happy. When I was in junior high school, I learned a song called “Garbage in, Garbage Out.” I liked it because of the words, and so I played the song for my eighth-grade Bible class and gave a speech about it. I learned an important lesson from that song: what you think about will come out in your life. If you put garbage into your mind, garbage will come out. It’s just like what happens if you put junk food into your body. If you eat nothing but chips and desserts, you will not end up being lean and fit and strong. To put it politely, you’ll be the opposite. In the same way, if you fill your mind with negative thoughts, bad words, or ideas that are not nice or respectful toward others, you will eventually think bad thoughts, use bad language, and act on bad ideas. The good thing about the “garbage in, garbage out” principle is that it also means that if you fill your mind with positive thoughts, encouraging words, and ideas about how to be kind or how to be a good friend, then all those things will show up in the way you act and eventually become the way you live. There’s a connection between the way you think and the way you are. Not only that, there’s also a direct link between the way you think today and the person you will become tomorrow. Your thoughts, words, and actions will determine your life more than anything else—more than where you go to college, more than what you major in, and more than the first job you get. The short “Sadie version” of this quotation is: your thoughts determine your destiny. If you want to get a glimpse of where you are headed in the future, start by looking at what you’re thinking about today. Before you go any farther in this book, I want to encourage you to make up your mind to be happy, because your mind is where happiness begins. Thinking happy will not mess up your schedule, and it will not cost any money, but it will be the best investment you can make. It won’t even make you tired; in fact, it will probably give you more energy than ever, because happiness just has that effect on people. If you are down or discouraged, decide today to shake that off and become a happier person by thinking happier thoughts. You can make your life and your future better just by thinking happier thoughts. Too many people believe that other people will make them happy. This is especially true for teenagers. So many of us think we will be happy if we can just hang out with the “right” group of people or if we can get the boyfriend or girlfriend we want. We also tend to think things will make us happy. We say we will be happy if we can get a certain outfit, pair of boots, new type of phone, or kind of car. We sometimes think we’ll be happy if we make the best grades in the class, have the lead in a play, or are starters or high scorers on a sports team. I have to say to my fellow teenagers: this kind of thinking is just not right. True happiness doesn’t depend on a certain group of friends, a boyfriend or girlfriend, a new phone, an outfit, or a car. These things might make us excited for a little while, but they cannot make us truly happy for a long while. For several years, my family and I have traveled to the Dominican Republic on mission trips. I’ll write more about that later, but for now I just want to say that when we go, we meet people who have nothing the world says is important, yet they are happy. Then I think about the TV show where a couple who won millions of dollars in a lottery was interviewed. This couple said it was the worst thing that had ever happened to them—the money just created a lot of stress. They said their whole family ended up fighting over the money and then lost it because they did not know how to manage it. I’m guessing that these people were not happy with what they had before they won the lottery, so it’s not surprising that they weren’t happy with more. Happiness is a choice—a choice to be joyful, no matter what the circumstance. This is something adults try to tell us, and I’ll admit it: they’re right. The only thing that can really make us happy is a relationship with God. If we know Him and do our best to do what His Word tells us to do, we will enjoy lifelong happiness. He knows exactly what we need in order to be truly happy, and He will lead us to those experiences if we seek Him, trust Him, and obey Him. We have to make a choice to have a relationship with Him. That’s the best and most important choice we will ever make. It will not guarantee that we won’t have hard times, but it will take us a long way toward a happy life. As teenagers, there are a lot of things you and I do not have control over. But we are 100 percent in control of the way we think, the way we feel, and the choices we make. We have the power to choose what we think, and what we think will determine the way we feel. Bible teacher Joyce Meyer says: “Positive thinking doesn’t just happen. It’s something you have to do on purpose.”4 I always try to put positive things into my mind so that positive things will come out in my words and actions. Like other people, I do not always feel like being positive or happy. Sometimes it would be a lot easier to complain, but what good would that do me? Sure, sometimes it takes more effort to be happy than to be sad, but the result is worth the effort. We are naturally drawn to people who are positive and happy. When I see a positive person, I think they have their life figured out. They seem to have everything going on. I want to get to know those people because they have something I think is valuable: confidence and a happy, positive attitude. Negative people are no fun to be around and they certainly don’t seem confident or together. If we hang out with positive people, their good attitudes will influence us, and we will become upbeat and happy too. But like Joyce Meyer says, it will not just happen. We have to work on it every day. We have to choose to be positive, even when circumstances are negative. We have to choose to be happy, even when discouraging things come our way. If you are not in the habit of choosing to be happy, it may take some practice. But just keep working on it. You’ll get there—and you’ll be glad you did. When I think about people who are truly happy, I have to mention my two sisters. At the time I’m writing this book, my little sister, Bella, is eleven years old. My older sister, Rebecca, is twenty-five. She came to live with our family in 2005 as an exchange student from Taiwan, and now she is just as much a part of our family as the rest of us. Bella is only in fifth grade, but I know a lot of fifth graders who already take life very seriously. Bella does not! She loves to laugh and play, and if she is involved in something, she is determined to make it a fun, happy experience for herself and for everyone else. She has a great sense of humor, which I think is very mature for her age. Unlike a lot of kids her age, she does not laugh at bathroom jokes or sarcastic comments about other people. She knows what is genuinely funny in a clean, wholesome way, and she can dish out that kind of humor like no eleven-year-old I have ever met. I think Bella’s main goal in life right now is to put smiles on other people’s faces. She just loves to make others happy; that’s what she thinks about, so that’s how she lives. And if a person’s goal is to make others happy, then that person will definitely be happy too. Another thing Bella does is refuse to get upset over little things. Not long ago, one of her friends was mean to her and blocked her on Instagram. Instead of coming home from school that day pouting about the situation or being dramatic and feeling that no one liked her anymore, Bella simply said, “That was ridiculous. I mean, that was ree-diculous!” She could have easily been hurt or angry, but she was not. In fact, the whole incident really did not faze her. She is not the kind of person who lets other people’s actions upset her, and that’s a big reason she is so happy. Rebecca is one of those people who is cute and happy and bubbly almost all the time. She loves to laugh and to make others laugh, and she really enjoys telling jokes. The problem with her jokes is that they may be funny in her native language or in the country where she was raised, but they are not funny at all in English or in Louisiana! Ha! See what I mean? The fact that the jokes are not funny ends up making Rebecca’s attempts at humor kind of funny in their own way. We all laugh at her jokes just because she tries so hard to spread laughter around our family. Rebecca is strong and positive, and other people cannot help but be happy around her. I am so glad she joined our family because just her presence makes me happy. While I’m thinking about happy people, I can’t overlook my great-uncle Si. Seriously, he is the happiest, funniest, most positive person I know. I’m sure a lot of people my age cannot say they have a strong relationship with their great-uncle, but Uncle Si and I are very close. I like being around him as much as possible, because any time he is involved in anything, it’s a guaranteed laugh. He has the ability to make anything fun and to see the humor in things that might be frustrating to other people. Recently, Uncle Si was duck hunting in very cold weather with Papaw Phil and my uncles. Suddenly, their boat began to sink. I was not there, but I heard the sinking boat brought out everyone’s true personality. Papaw Phil took it like a man; he just stood there and watched while the boat sank and then walked very calmly through the water to the duck blind, even though he was about to freeze. My uncles were jumping around screaming, all shouting out different ways to fix the boat. And Uncle Si just laughed and told jokes while he watched the boat go down. One time something really sad happened to Uncle Si; his house was infested with termites. He and his wife, Christine, had lived in that house for a long time. It was home to them and they really loved it. The termites did a lot of damage to the house before Uncle Si realized it, so he and Christine had no choice but to move out before it fell down. So they moved into a new home, and they are very happy there. I know the reason Uncle Si handled this situation so well is that he does not let his circumstances determine his happiness. He is a happy person, no matter where he lives. He was happy in his old house, and all he had to do when he moved to the new house was take his happiness with him. And for Uncle Si, that was no problem at all! WE WERE HAPPY BEFORE . . .
Lots of little girls like the movie Snow White and the Seven Dwarfs. I was one of them. One of the songs in the movie is “Whistle While You Work.” The lesson of the song is that work—whether it’s homework or cleaning your room or a job in some kind of business—does not have to be boring or hard. It can be fun if you think of ways to make it fun. I have never been good at whistling, but I love to sing while I work. In fact, I have always turned my study guides into songs or raps to help me remember things. A lot of people think the job I have now—on Duck Dynasty—is really fun. They say they would do anything if they could be a television star. Being on TV is fun at times, but at other times it’s hard work—just like anybody else’s job. I can choose to be happy about it or to complain about it because I have to film instead of going out with my friends. I almost always decide to be cheerful about it, because that just makes life a whole lot easier than being angry or disappointed. I guess I learned to be happy when I was very young and worked in my family’s duck-call business. This was way before most people ever heard of Duck Commander. Serious hunters knew about my papaw Phil’s company, but not many other people did. Even though the company was not the big business it is now, it took all of us in the family to make it successful—even me, when I was six or seven years old. When I was that age, my older brother, John Luke, and I worked for Duck Commander during the summers and at other times when we were not in school. Our cousins Reed and Cole (Jase and Missy’s sons) worked with us. The four of us are very close in age. John Luke and Reed were born during the same year. About two years later, Cole and I were born within several months of each other. So all of us have grown up together, and now our two families live right across the street from each other. At the end of each day, Mamaw Kay gave us each five dollars. But those payments were not our greatest rewards. Our greatest rewards were all the good times we spent with our grandparents and the lessons we learned from them. Mamaw Kay and Papaw Phil did not have much money back then, and they definitely were not “famous” like they are today. But they were happy. The boys and I never questioned that. We saw our grandparents work really, really hard to make a small business successful. We saw them love God, love each other, and love our family. We knew from the time we were really young that these things are what make people truly happy. Mamaw Kay has been a happy person for as long as I can remember. She is the type of grandmother who always has a big hug for her grandchildren, who loves to teach us lessons from the Bible and important things about life, who makes us cookies or our favorite meal for no special reason, and who always sees the best in us. I don’t mean she overlooks our faults or lets us get away with being disobedient. She never had any trouble punishing us when we were little (for example, if we argued in her house, we had to go outside until we could be nice to each other), but she is also quick to compliment us when we do well, and she tells us often how much she loves us. Papaw Phil has also been happy for as long as I can remember. I don’t think a lot of people realize this about him because he comes across so differently from Mamaw Kay. He is not one of those sweet, cuddly grandfathers who wraps you up in his arms and starts swinging you around when you go to see him. He’s a man who is happy because he is totally comfortable with himself, and he has no need to impress anybody. He knows what he believes and he sticks to it, no matter what other people think. He tells the truth exactly as he sees it, and if people don’t like it, that does not bother him. I have never seen him sad or shaken; he is solid. And he’s happy. When I think about high school students like me and about all the drama that goes on because someone does not feel accepted by the popular group, I get really sad. Some students spend so much time being upset and disappointed, when they could spend that same amount of time doing what makes them happy and following their dreams—instead of getting upset about what other people think. If we could all just take a lesson from Papaw Phil and accept ourselves even if others reject us, we would be a lot happier. People who can be who they are, and accept themselves as they are, are some of the strongest, happiest people in the world. My papaw Phil is definitely one of them! All of our family is happy—because our happiness is not based on being on TV or on any of the things that come with it. Not that we never face struggles and not that we never get down about something, but underneath it all, we really are happy. Our happiness is based on loving God and knowing God loves us, and on loving each other. That’s what makes us happy, happy, happy. Sadie Robertson catapulted into stardom as a young teenager, starring in the hit reality series A&E’s Duck Dynasty, as well as landing first runner up on ABC’s Dancing With The Stars Season 19 at just 17 years of age. The now 20-year-old has expanded her platform as a motivational speaker and advocate for her generation. On a mission to empower her peers in the name of positivity, self-confidence, and a call to “live original,” Sadie designed and launched a 16-city motivational tour called the Live Original Tour in 2016. She recently announced her plans for Live Original Tour 2017 set for this fall. Sadie has also ventured into acting, appearing in God’s Not Dead 2, the 2016 film about Columbine shooting victim Rachel Joy Scott I’m Not Ashamed, as well as taking on a starring role in the Hallmark movie, Sun, Sand, & Romance. Sadie embodies the creative and entrepreneurial spirit of the Robertson family and has carried her philosophy into multiple business ventures including her own phone app, SADIE, a prom dress line with Sherri Hill, school supplies for DaySpring, jewelry and home goods with Glory Haus, and a fashion line with Wild Blue Denim. She has also partnered with Roma Boots and worked alongside them in their mission to “give poverty the boot” and spends time every year traveling the world serving those in need with One Squad, a group of young people that Sadie created with Help One Now, that seeks to engage her generation in social justice by caring for children and orphans around the world. 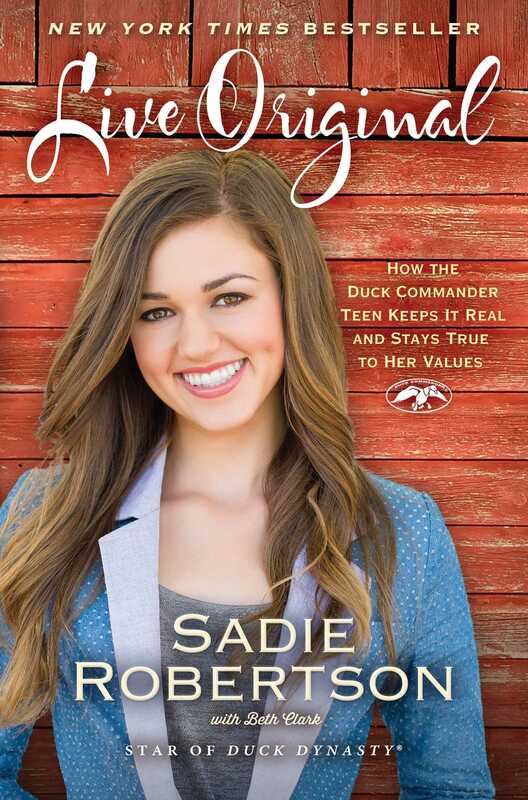 A bestselling author, Sadie is currently working on the follow up to her New York Times bestselling book, Live Original: How the Duck Commander Teen Keeps It Real and Stays True to Her Values, which, along with her newest books, Life Just Got Real and Live Original Devotional are available at retailers nationwide. For more information, please visit LiveOriginal.com. 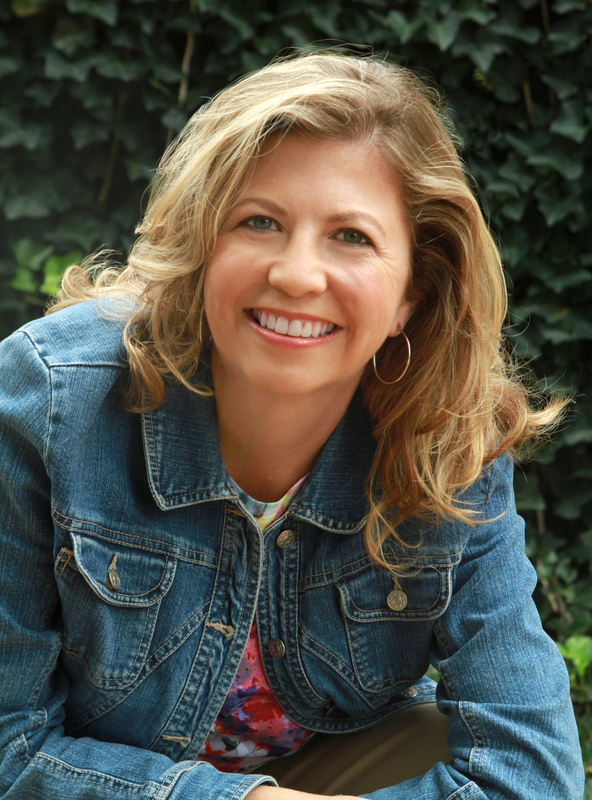 Beth Clark is a writer and publishing consultant and runs a business called Thinkspot Communications in Franklin, Tennessee.